It's all about 2 besties and the 3 children we love! So we got trippin’ and trappin’ early to the DBS Arts Centre on Saturday and were all set to catch SRT’s The Three Billy Goats Gruff, the latest and final addition to the trio series by George Stiles and Anthony Drewe. Having had a preview of part of the rehearsal, we could not wait to come back to watch this brand new production! The 3 Happy Kids eager to watch The Three Billy Goats Gruff!! haha! As we entered the theatre, Wey exclaimed, “Hey Mama, look it’s the same as what we saw last week!” He was of course referring to the miniature mock-up of the stage set that Director Anthony Drewe had so kindly (and bravely, might I add) shown the kids during our short preview session. Director Anthony Dewes brought us behind the scenes. Here, showing us the mock-up stage design before building the the actual set! Look at those inquisitive little people surrounding him! Is the grass really greener on the other side of the bridge? Well, SRT’s The Three Billy Goats Gruff – Baby, Middle and Big, certainly think so! And so, begins their daredevil efforts to cross the bridge to greener pastures, without being eaten by the dreadful Troll of course! As the theatre lights dimmed and the catchy music came on, I could almost hear the squeals of delight of the children as The Three Billy Goats Gruff- Baby, Medium and Big made their appearance. Wey’s favourite was Big… Seen here is Medium, Big and Baby (Left to Right). Oh how the three entertained everyone with their energetic singing and rapping, “We’re Big, Medium and Baby, large, medium and small… all for one and one for all… with horns that make us look tall! … We’re the Billy Goats, We’re the Billy Goats, We’re the Billy Goats Gruff!” By the end of their lively rendition, my son was cheering wildly for them! Wey’s favourite was Big (Benjamin Wong) because “he’s so strong and big!” I suspect it was also because Big turns out later to be the hero of the show and finally thinks of a way to outwit the rather dim-witted Troll as he stands up bravely against him. Adding quite some colour to the play was the goats’ rather silly, rather forgetful, rather pink, rather frilly owner caretaker, Little Bo-Frilly (Cheryl Tan). Tan’s portrayal was slapstick funny and the young ones giggled and laughed at her silliness. Can you guess already why she’s called Little Bo Frilly? LOL! So what’s under the Bridge that separates the goats from those awesome ‘greener’ pastures? A bowl? A bread roll? haha… nope, it’s the greedy dreadful Troll who loves to eat goats (not kids! Oh really! haha)! I was excited to see the grumpy old Troll at last! haha! The appearance of the Troll (Benjamin Chow, who also plays Frilly’s Daddy, Mr Bo), brought a tensed moment for some but everyone soon forgot any fears they had and remained enthralled by the story and the catchy music. We laughed at his songs that included a very yummy gourmet menu of Soup Kambing! hahaa… In fact, I’d picked the Troll as my favourite character in the story and felt almost sad when he was outsmarted in the end. Now, did I mention before that the songs were catchy and fun and filled with country rock goodness? Well, our trio K, Wey and R were having a great time ‘rocking and trolling’ to the beat of the music in between lots of giggles and laughter. Our favourites were definitely the opening number “We’re Big, Middle and Baby” and “The Grass is Always Greener on the Other Side of the Fence”. Aside from all the singing, laughter and fun, I think the play brought home the point that we need to be contented with what we have. In this age of abundance, how often have we still continued to crave for more and wanting things that others have? I thought it was a very timely reminder for the adults and a great teachable moment for us to impart the values of being contented to the young ones. So have fun trippin’ n trappin’ to the DBS Arts Centre to watch this cleverly fun musical that will have your whole family laughing out loud. We sure had our share of giggles and laughter today! [Edited 10 Apr 15] In the meantime, we are happy to share that SRT has kindly sponsored a pair of tickets to watch The Three Billy Goats Gruff on 12 April 2015, 2pm. Click here to take part in the Giveaway which ends on 9 April 11.59pm. Remember to Like and Share this Review Post and Tag 3 Friends on Facebook for BONUS Entries! Good Luck and see you at the theatres! Thanks for joining us on SAys! Happy Mums. If you liked what you read on our blog, please follow us on Facebook for the latest updates. We hope to see you back again soon. We received tickets to catch this brilliantly fun musical for the purpose of this review. All opinions, as always, remain our own. Take advantage of The Little Company Season Pass to save 20% on tickets. TLC Season pass is available for a limited period only. More booking information here. 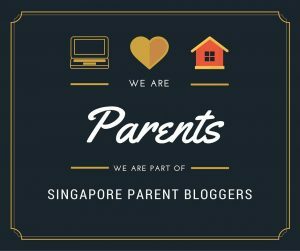 We are a Singapore Mum Blog hosted by BFFs Shirley & Audrey. We blog about our children, parenting and family lifestyle. Most often than not, we find ourselves immersed in family and kids entertainment and can't escape from the lure of great food! Pls Email to Shirley & Audrey at sayshappymums@gmail.com. Unauthorized use and/or duplication of this material without express and written permission from this blog’s author and/or owners is strictly prohibited. Excerpts and links may be used, provided that full and clear credit is given to SAys! Happy Mums with appropriate and specific direction to the original content.